Luxury cushion in deep navy velvet material, featuring handmade embroidery by Lesage in crystals with antique gold thread and gold rope. 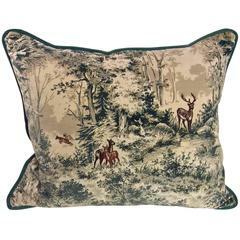 The cushions can be made completely bespoke and perhaps epitomize a movement now to bring back embroidery and traditional artistry, in a modern way. “The Night Owl” can be made to depict any animal and it can be done in customer own fabric and bespoke sizes. Bespoke sizes and embroidery available upon request as well as customer own fabric. Taylor Howes is recognised as a Great British Brand, founded over 25 years ago it has received over 15 awards and accolades across the years and was invited to become a member of Walpole in 2018. As an interior studio they have executed more than 1,000 projects world over. Each project is personalised as a piece of art or couture. It is this approach that has seen the studio’s international client base become faithful followers of Taylor Howes, with each new home, private office, hotel or international investment. Taylor Howes has become a definition for the world’s most innovative and exquisite interiors. Their unparalleled approach to design has now extended these sensibilities to encompass beautiful furnishings. Love at Dusk is the first furniture collection by the studio. The collection of 13 statement furniture pieces are the material form of the Taylor Howes’ renowned design philosophy: an underlying structure of immaculate symmetry, perfect proportion, enriched by the poetics of colour, exceptional craftsmanship and the use of exquisite materials. Love at Dusk is a reference to that time of the day when the world glows with wonder and elemental magic. Cityscapes are transformed into glittering silhouettes, shadows dance and the golden streams from the setting sun blend with hues of striking indigo, verdant grey and shimmering silver.